Alone, two o three you will discover all the beautiful bay of Sanary. After 10 minutes flying, you will be back smoothly on the boat. The meeting point is at Sanary Port. 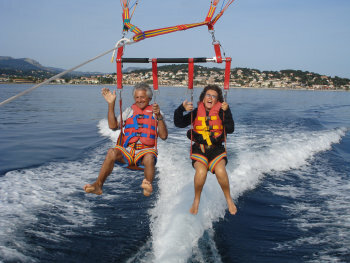 You will come on board in a special boat designed for Parasailing with a platform and a winch. The instructor will open the parasailing and after he will clip your harness to it. 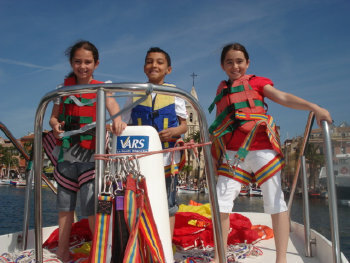 You will sit on the deck of the boat and the captain will unroll the rope (250 m) with the winch.